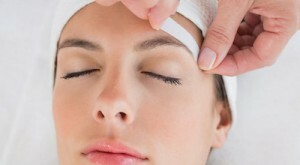 We only use the “Clean and Easy” system of waxing. This system means that no wax pot is shared between clients. This eliminates any chance of cross contamination between clients or share particles of other people’s body hair. It is far more hygienic than the spatula and pot version of waxing. Skin test needed 24 hours before tinting services. We are happy to quote for any other waxing services that are not on this list please ask your therapist or at reception.